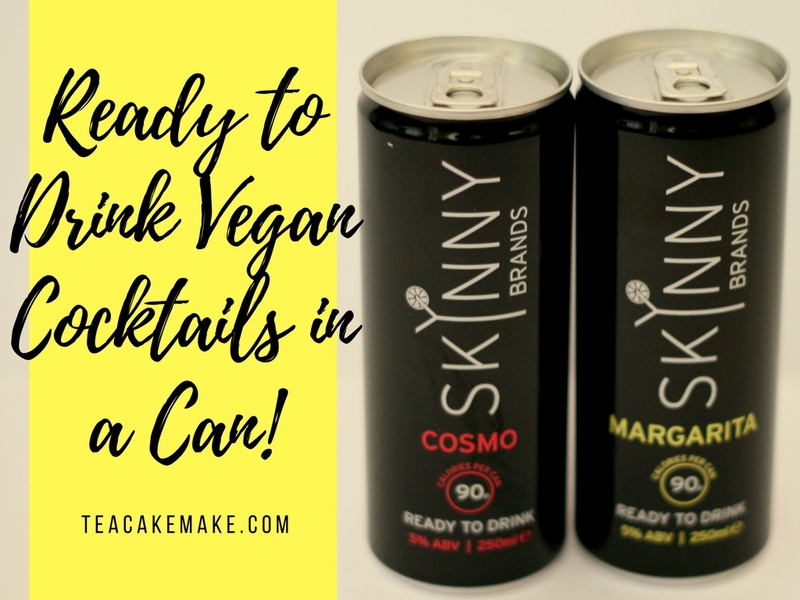 Vegan Ready Made Cocktails In A Can! The lovely people at SkinnyBrands sent me a gorgeous box of vegan friendly goodness to enjoy – check the above pic for what they sent! 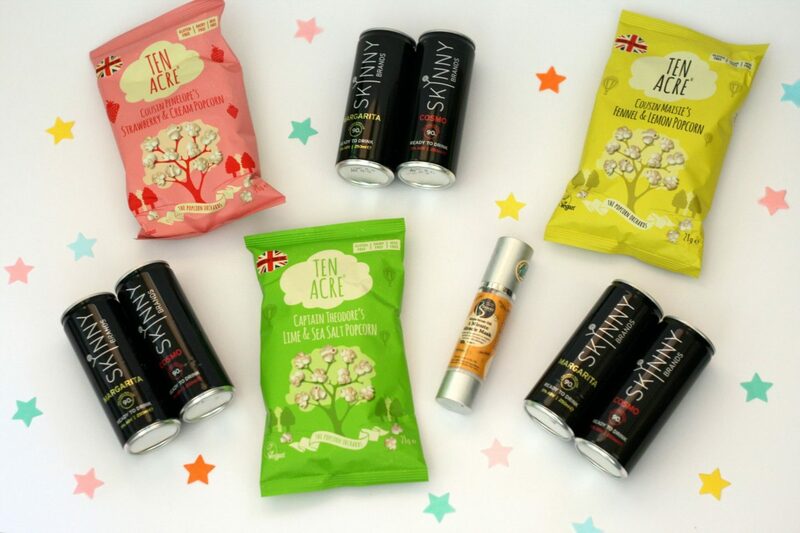 A selection of delicious Ten Acre vegan friendly popcorn (2 bags of each – my fave flavours are Lime & Sea Salt*, and Fennel & Lemon*), a vegan friendly face mask, and some cans of Margarita and Cosmo cocktails! 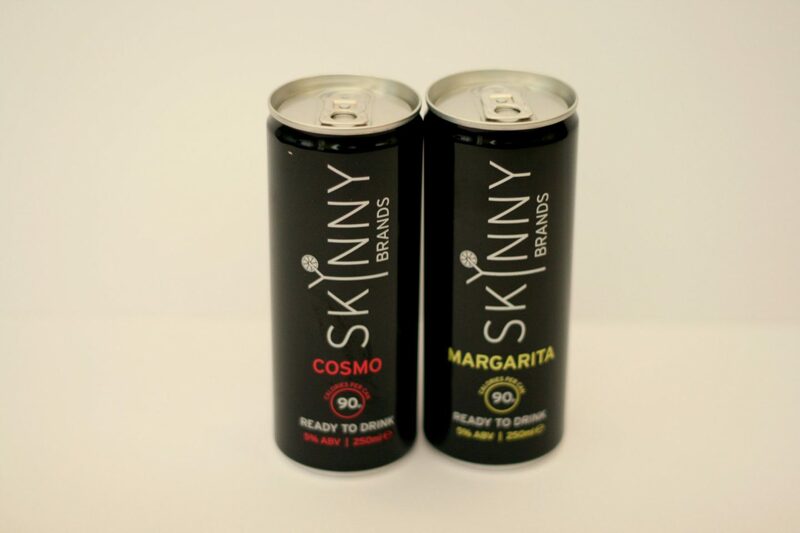 So what are Skinnybrands canned cocktails like? As you can see below, both cocktails sampled contained the same calories and alcohol content. They also both contain milk thistle. Why? Because milk thistle has been proven to protect the liver from toxins, and by drinking it with alcohol you are meant to lessen the effects it has on the liver. Anyway, onto the cocktails themselves! The simple construction of the cocktail really does make it. Often, canned, premade cocktails are stuffed to the brim with unneeded additives, but as you’ll see from the ingredients below, these contain nothing of the sort! Contains: Vodka, cranberry, triple sec, milk thistle. I’m a big fan of margaritas, so I was bracing myself to be let down by the Skinnybrands Margarita. Why? Because I’ve been let down by canned Margaritas before! However, it was not the case this time. PHEW. This was a decent tasting cocktail, what would have made it better was for me to have added a little salt to the rim of my glass. Next time, I’ll need to do that, for sure. Contains: Tequila, triple sec, lime, milk thistle. Skinnybrands also have a Mojito (I LOVE mojitos) in their cocktail range, and a selection of wines, with more to come later this year. Thank you for Skinnybrands for sending me the fab gift pack, I had lots of fun having a good pamper and cocktail fuelled chats! 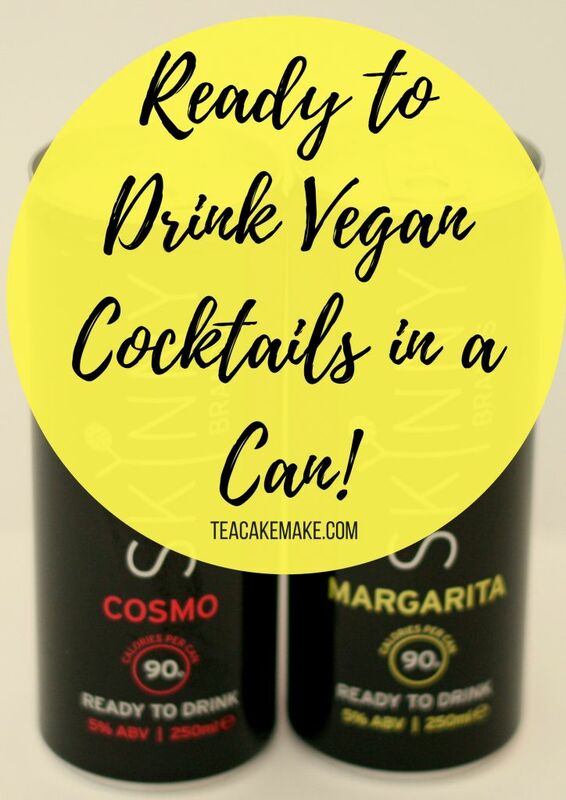 What’s your favourite vegan friendly cocktail? Let me know what you love to drink in the comments below! In order to enjoy alcoholic beverages you must be of legal drinking age of the country you are in. Please drink responsibly. Disclaimer: Skinnybrands sent me cocktails to review, however, all thoughts, words and opinions are my own. This post contains affiliate links, marked with an asterisk (*).